Happy Easter everyone! What are your plans? We are home this weekend, seeing family on Easter Sunday and Easter Monday. Let's hope for some decent weather. One thing I always talk about on my blog at Easter is the final wardrobe swap from winter to spring / early summer - not quite ready for high summer yet though but we have two early holidays this year so I am already planning summer dresses and bikini's. And I'm excited to be collaborating with my favourite online scarf and accessories store again over the Easter weekend - with an Instagram giveaway and a discount code for my followers. 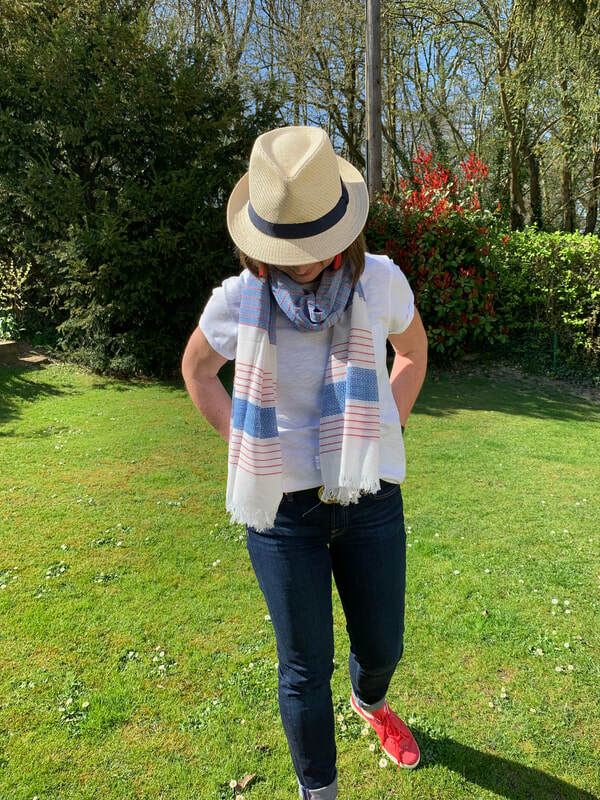 A pretty summer scarf can brighten and update any outfit, introduces a pop of colour and can add an extra bit of warmth for our unpredictable weather or of course perfect to double up as a sarong on holiday too. I recently decided to upgrade my hair removal method, after years of shaving and having to keep on top of it every couple of days, I decided to look into body sugaring, waxing and also laser hair removal. But I remember from my limited past experience of waxing that it can be painful and a little embarrassing. However I am braver now and I want to feel fabulous and make life a bit easier. My enquiries led me to decide on the body sugaring / sugar wax hair removal method. I had a chat with Lucie who runs her own salon from her home in Maidenhead - L&A Evolution to understand more about body sugaring. This method is based on an ancient technique that also nourishes the skin and leaves it feeling soft and smooth, like a natural exfoliation. It is less painful than waxing and is therefore particularly suitable for more sensitive areas. Back in March I was invited to attend the Spring / Summer range launch with Vionic Shoes, my new favourite shoe brand - is there any other!? These are comfortable shoes - but they are also very stylish shoes. 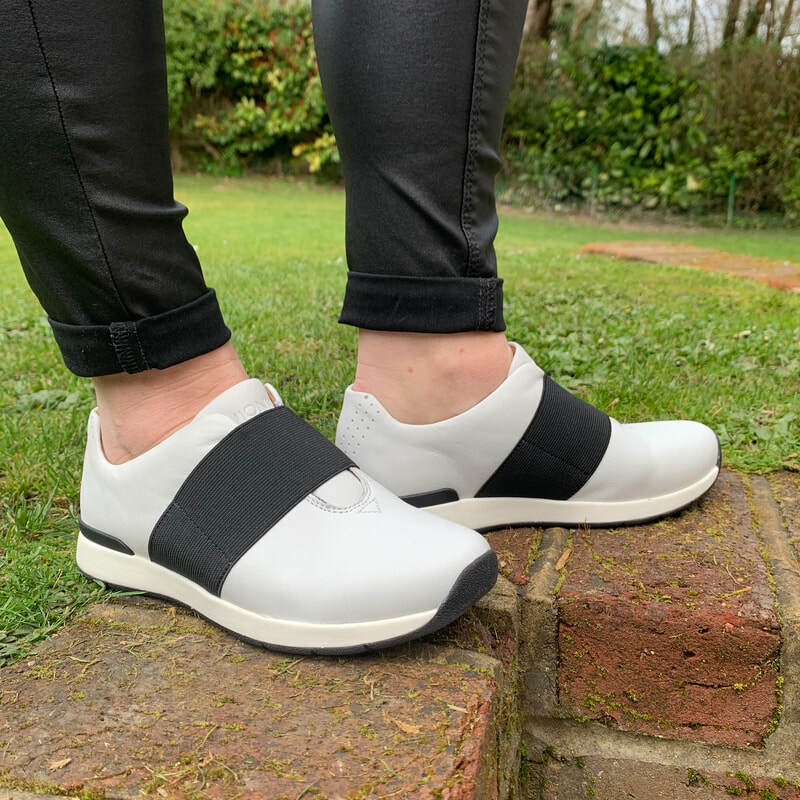 And with spring now firmly on its way, I am loving the slow move from boots to trainers and being braver with wearing skirts and dresses with trainers too - there is nothing stopping us women over 50 embracing the trends too. Welcome to the next interview in my occasional series - where I talk with amazing midlife women who are being brave and trying new things - maybe a career change or a new business venture. I meet so many women who inspire me and I love to share their stories with you. This is Mary who I met a few years ago when I was volunteering at the Citizen's Advice Bureau for one morning a week, my first foray into something outside of the home other than our own business. I volunteered for a year but then it became a little difficult with my available time as I was needed to help out with some family commitments. Anyway I met Mary who was working there and then bumped into her again at a networking event in Marlow last year. Mary has recently retrained and set up her own coaching business specifically focusing on menopause and midlife. Here she tells us a bit more about her and her life and why she decided to change her career and retrain.